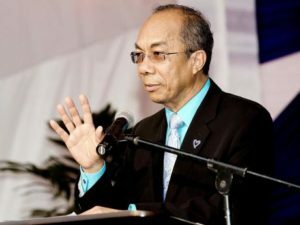 Minister of National Security Dr Horace Chang has disclosed that new barracks have been constructed in Montego Bay, St James to permanently housed members of the Jamaica Defence Force (JDF). Addressing a community forum in Norwood in the parish last evening, Chang said the number two battalion of the JDF, which was previously based at Up Park Camp in St Andrew, will now operate at the new barracks, located adjacent to the Sangster International Airport. “We no longer have the cost of bringing them in from Kingston and finding hotel accommodation for them at enormous expense, they are now permanently based in Montego Bay. They can now assist the police from here to Westmoreland,” Chang said. He further disclosed that the JDF Coast Guards will also be playing a more active role in the western end of the island to protect coastlines.